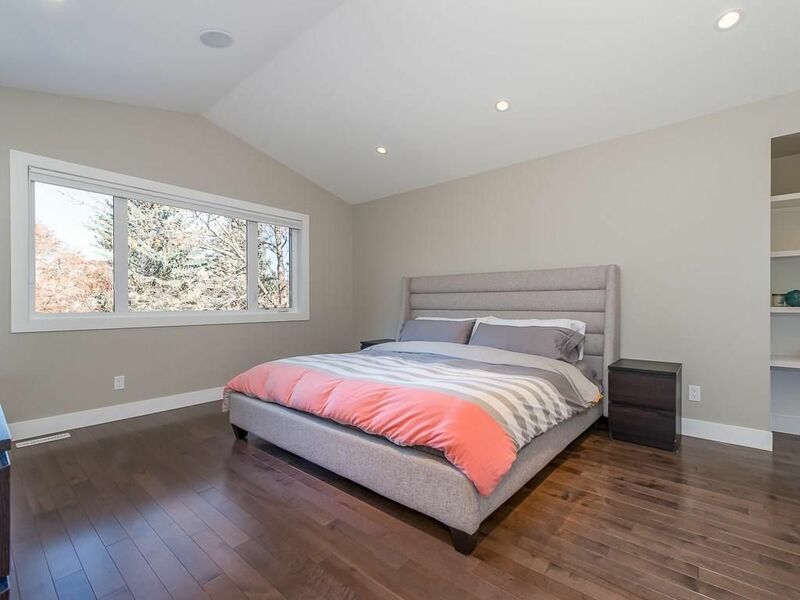 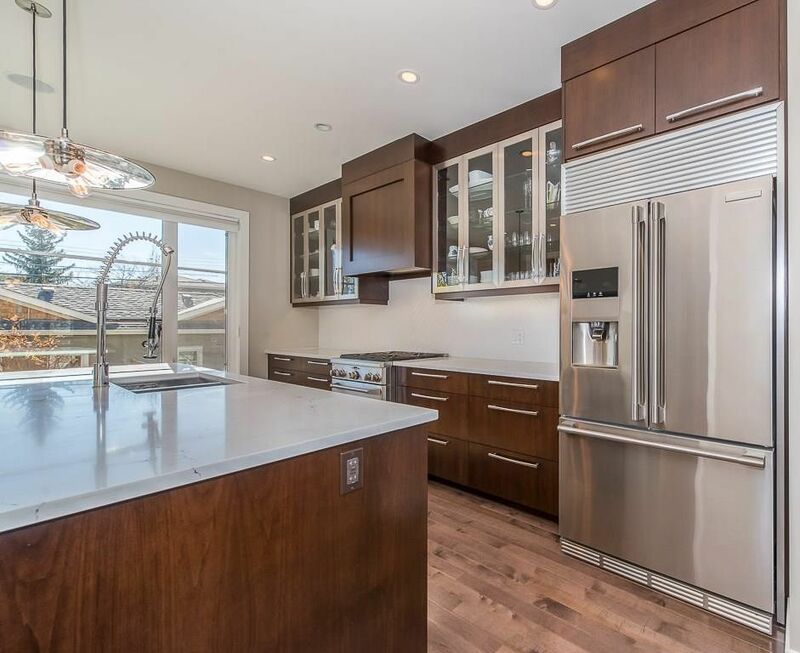 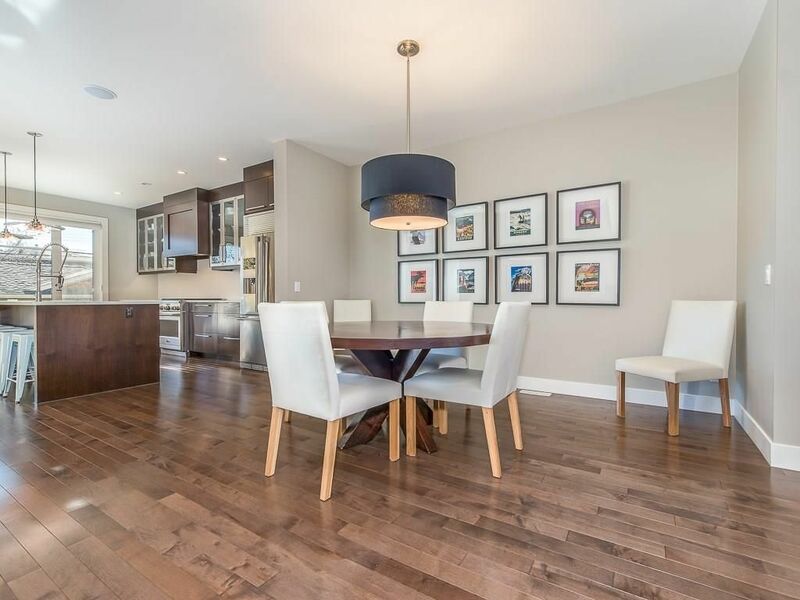 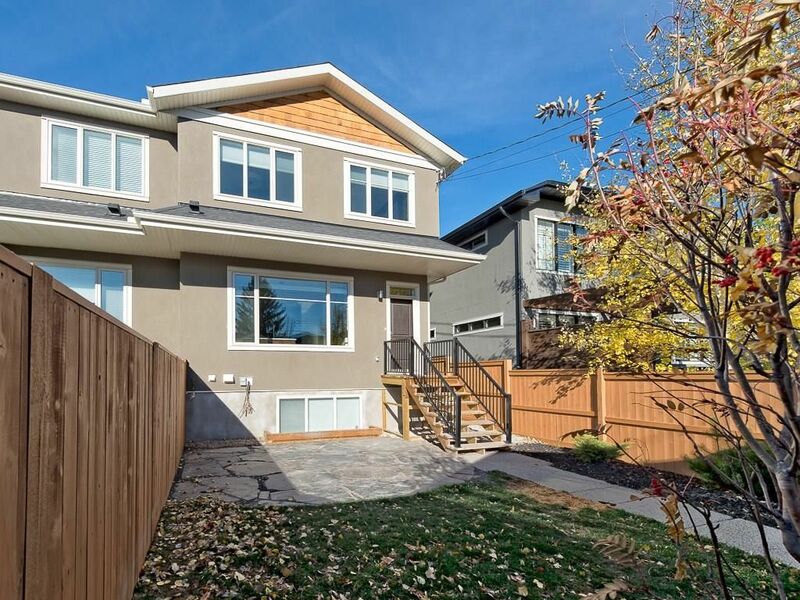 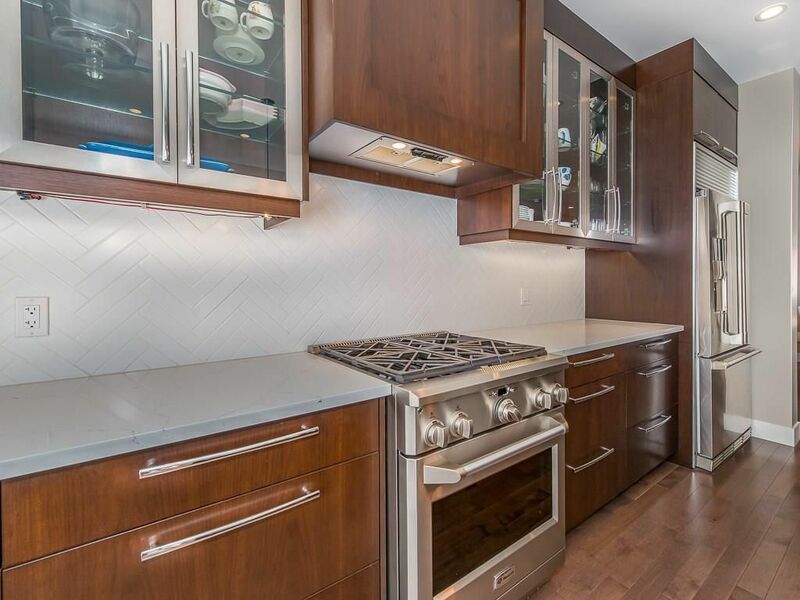 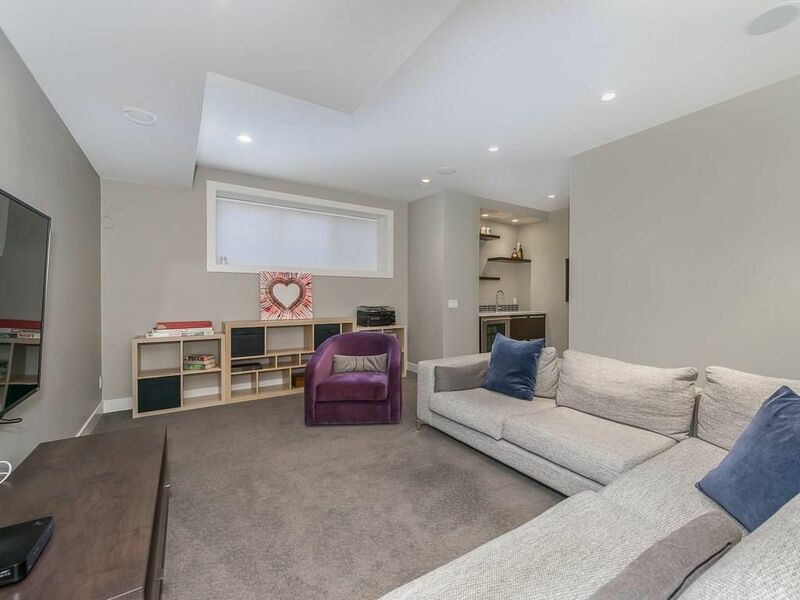 Unparalleled quality throughout this stunning upgraded home on a tree-lined street with a south facing backyard in highly sought-after West Hillhurst. 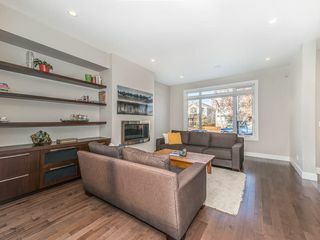 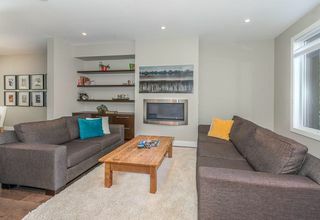 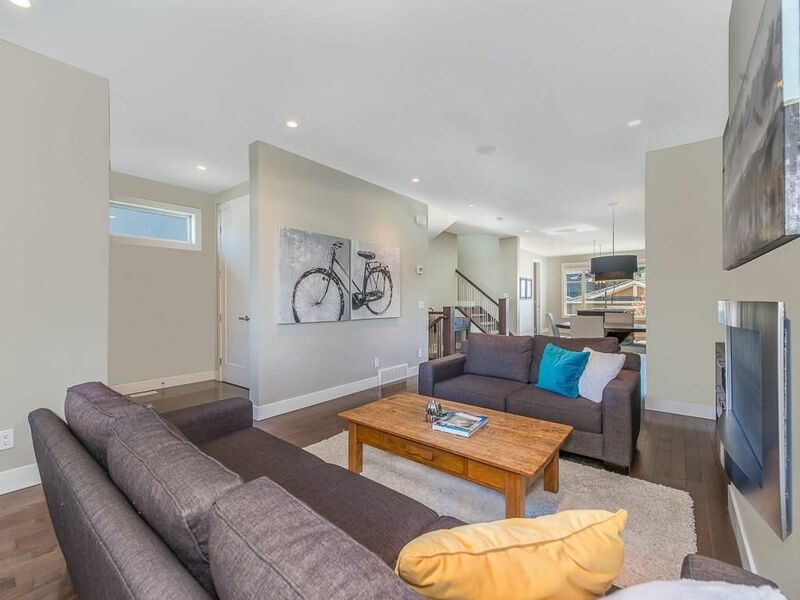 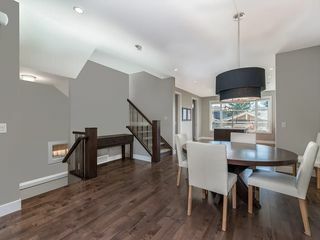 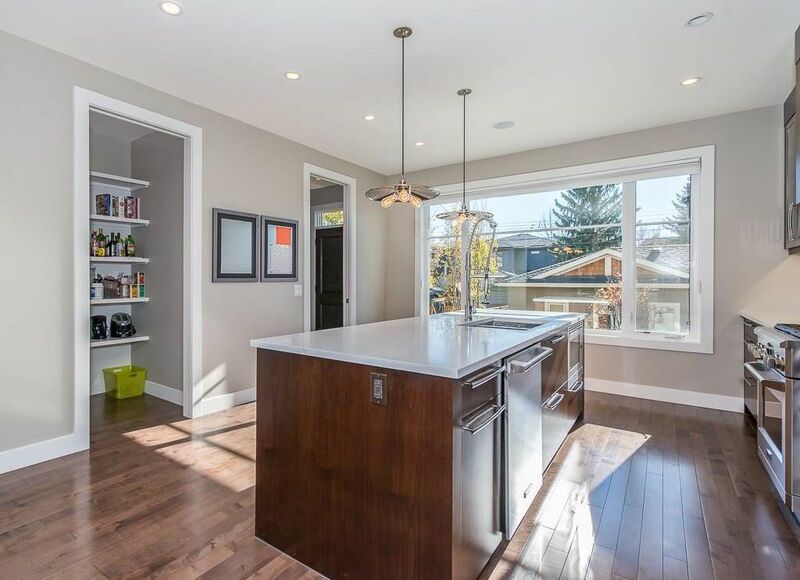 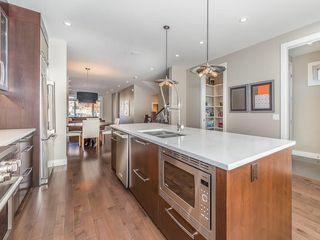 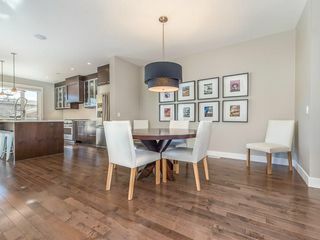 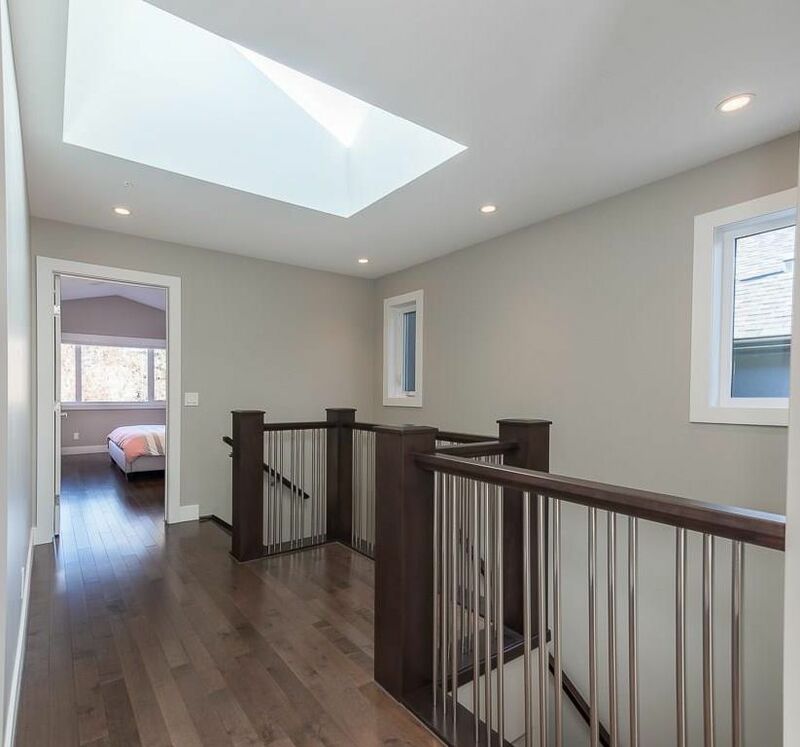 Open concept main floor boasts a spacious foyer which preludes a living room accented by linear gas fireplace. 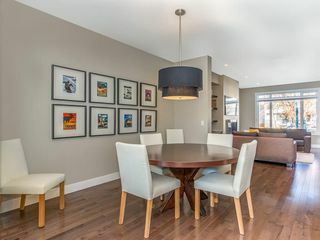 Adjacent dining room leads to the huge gourmet kitchen showcasing upgraded stainless steel appliances, Caesarstone countertops, tiled backsplash, large island with eating bar and loads of cabinets. 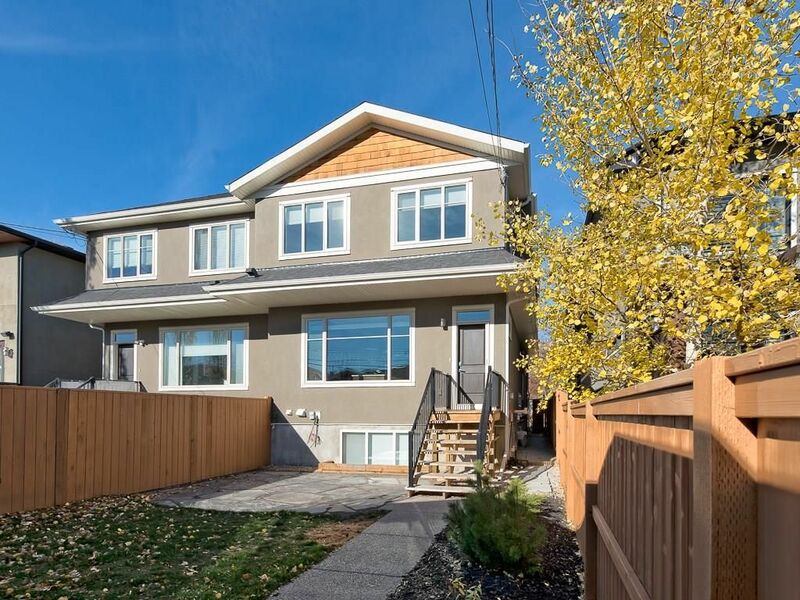 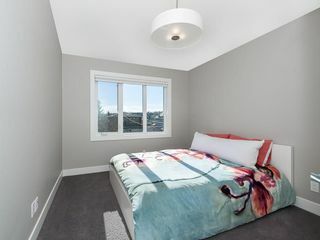 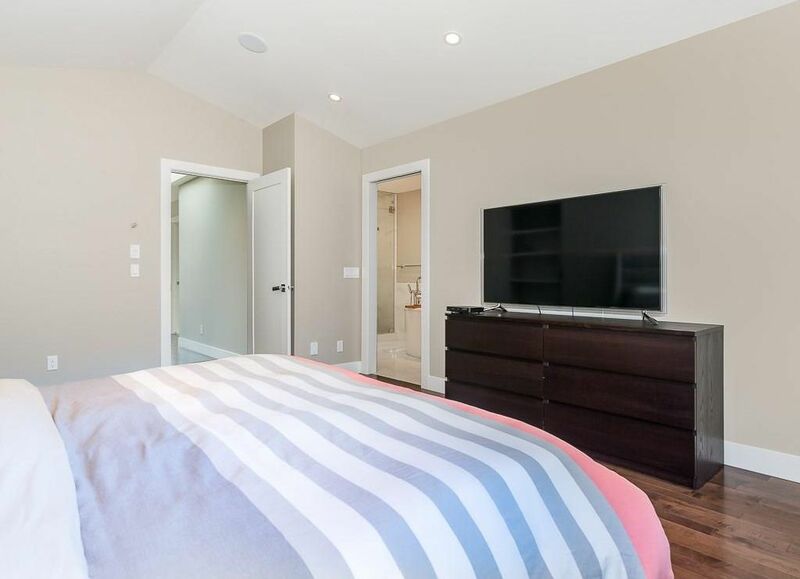 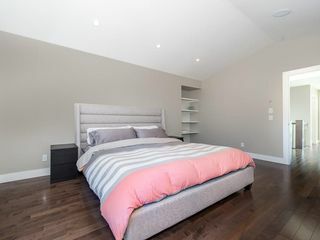 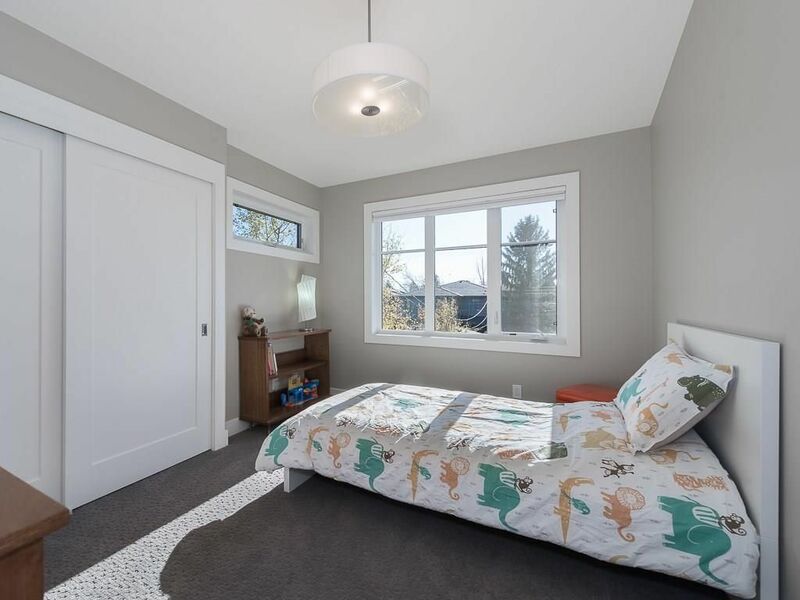 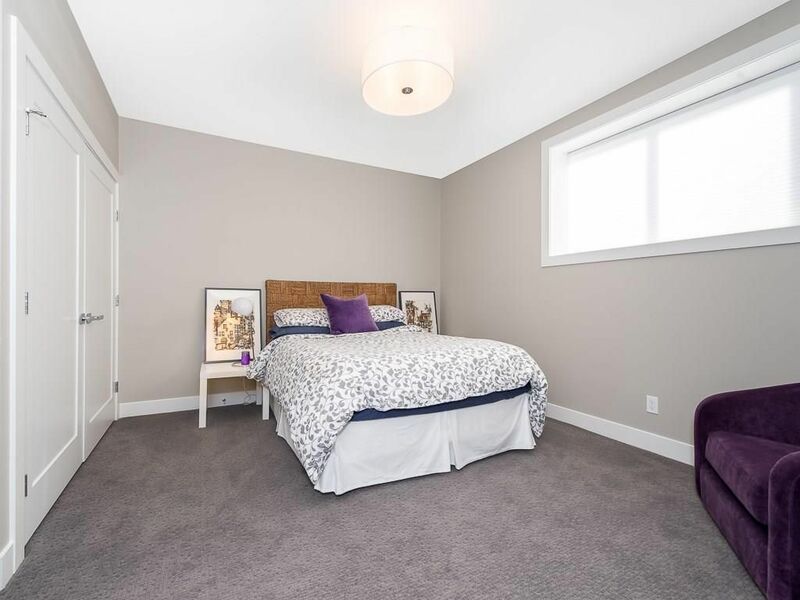 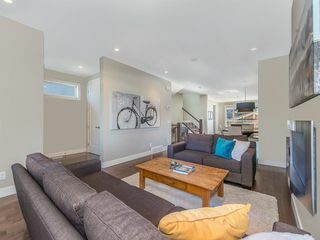 Upper level features three bedrooms with master having spa-like ensuite with large walk-in closet, heated tile floors, dual sinks, soaker tub and separate steam shower. 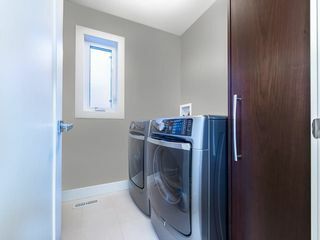 Laundry is conveniently located on the upper level. 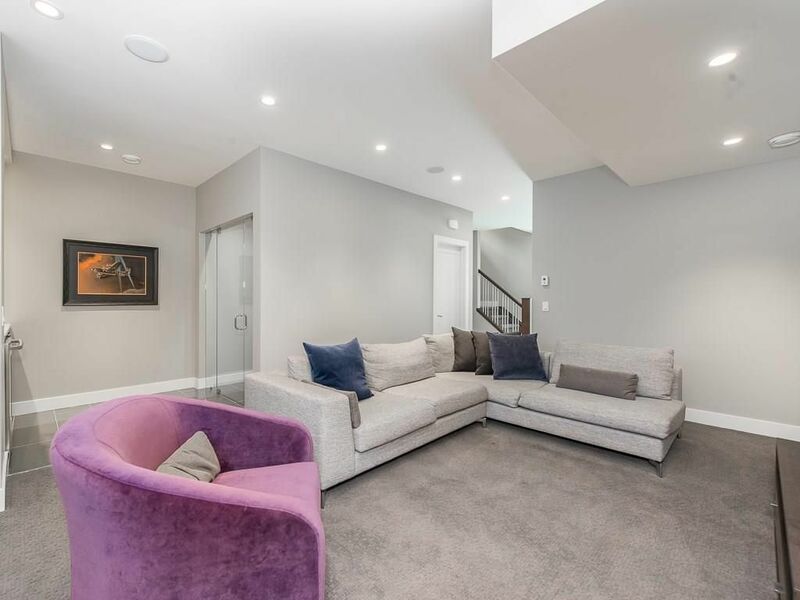 Fully developed basement offers a fourth bedroom, four-piece bathroom, large rec room and wet bar with wine cellar. Oversized south facing backyard, ideal for relaxing or entertaining. 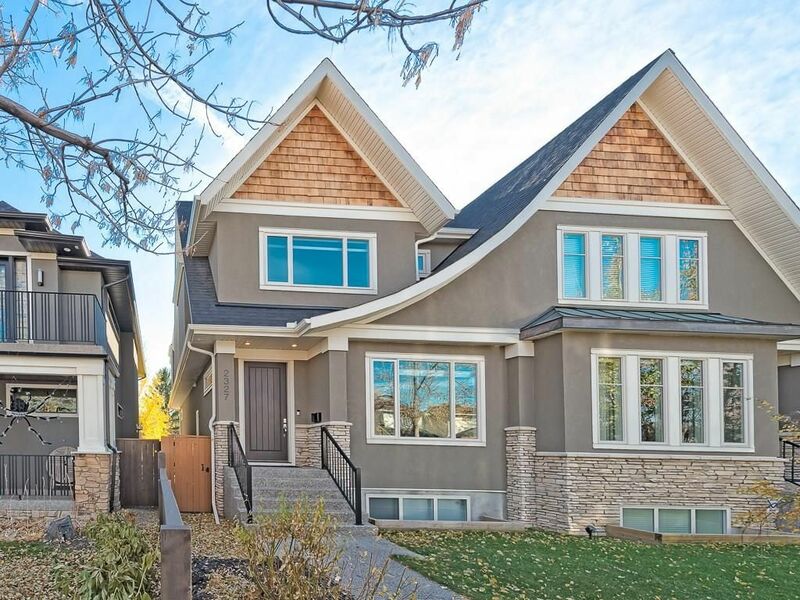 Double detached garage. 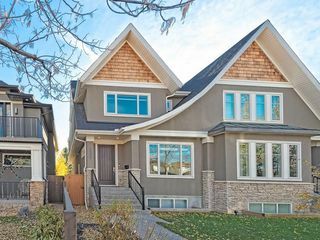 A spectacular home merging class and style in an ultra-convenient location. 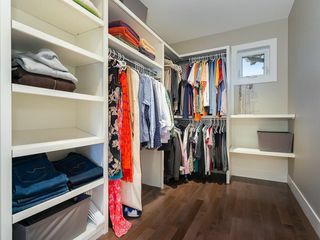 Builder size 2074 sqft. 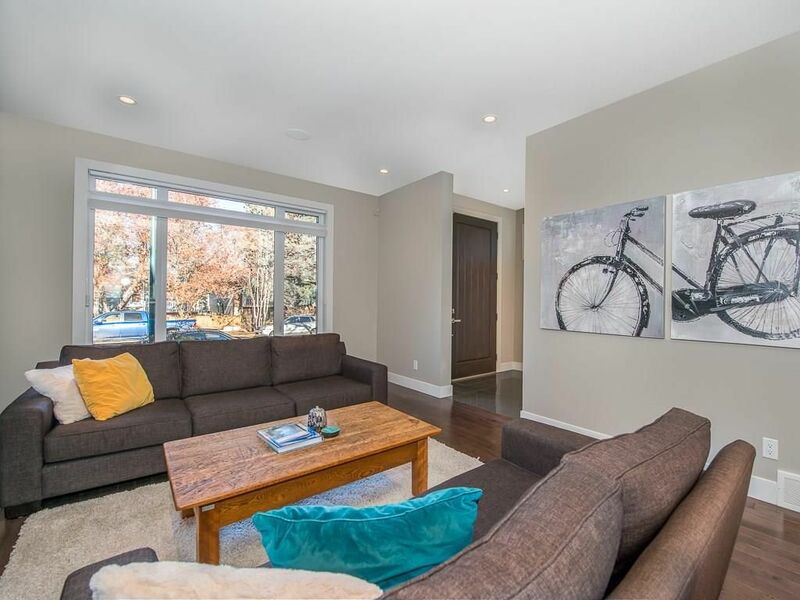 Spacious living room with huge front picture window allowing for loads of natural light. 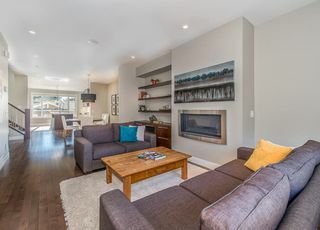 Living room with linear gas fireplace. 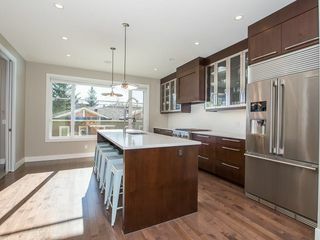 Fantastic kitchen with huge south facing window. 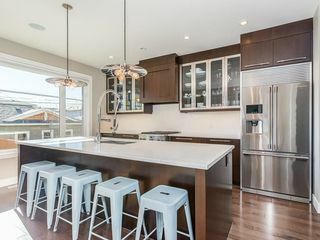 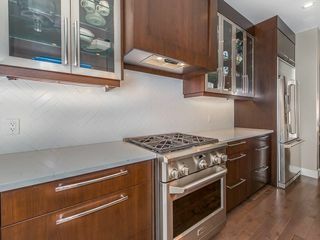 Ceaserstone counter tops and upgraded stainless steel appliances. 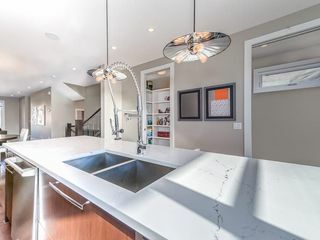 Large island with eating bar. 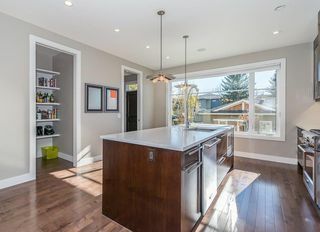 Large walk-in pantry adjacent to the kitchen. Master bedroom with vaulted ceiling and built in speakers. 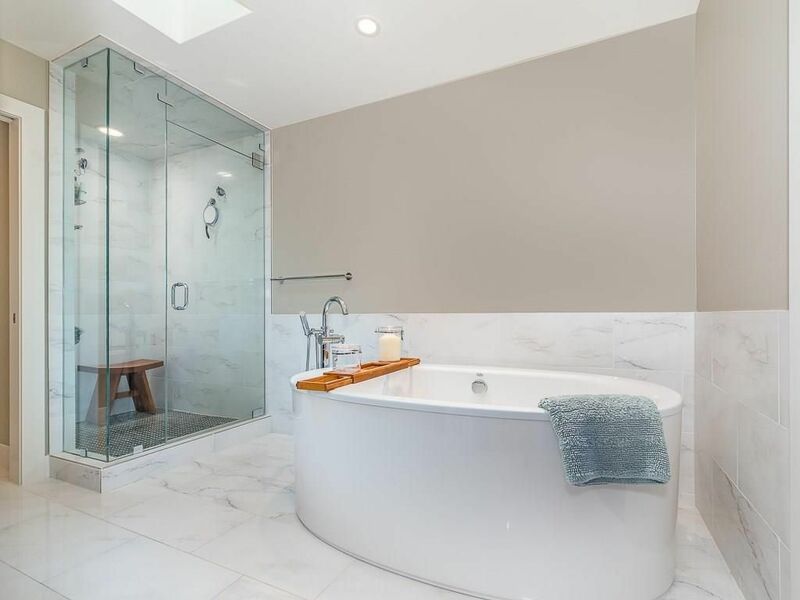 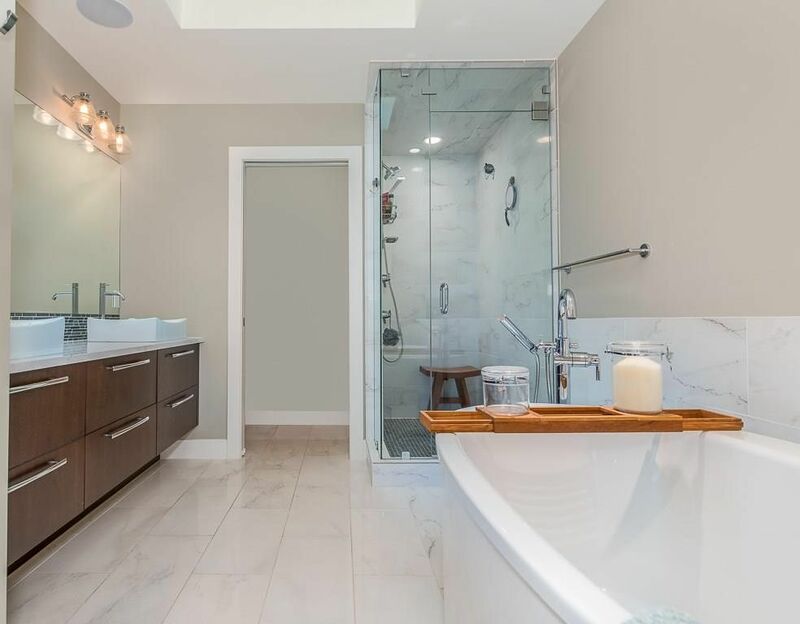 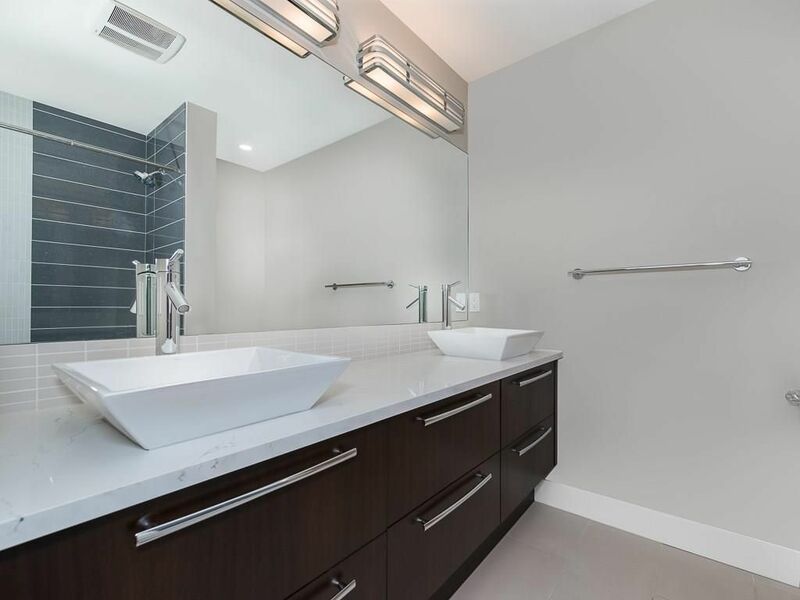 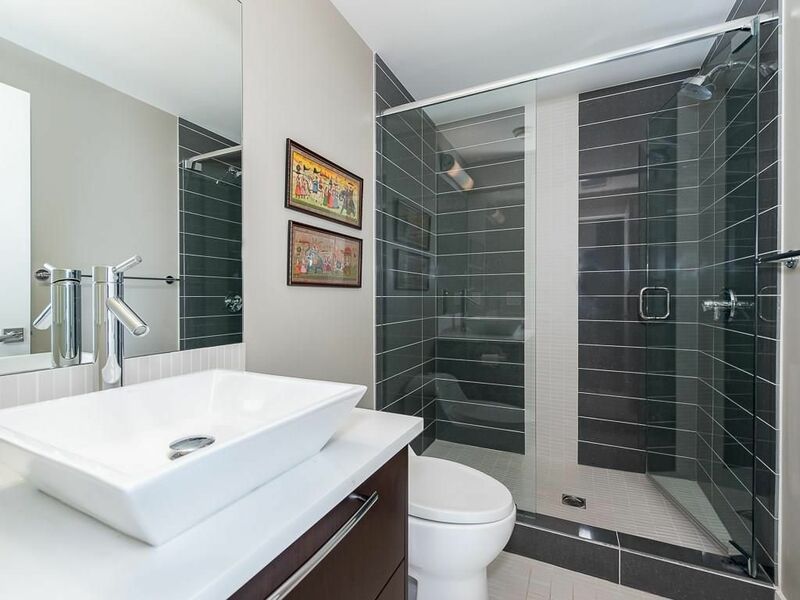 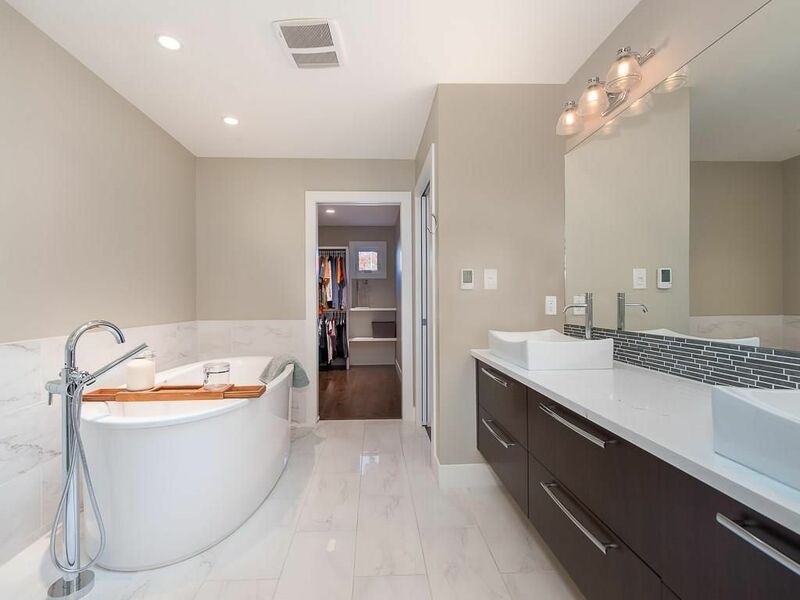 Spa like ensuite with soaker tub and walk-in steam shower. Ensuite bathroom with heated tile floors. 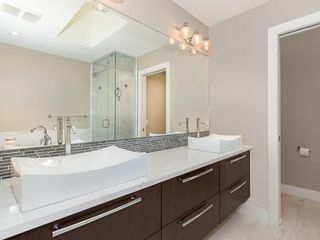 Main four-piece bathroom with dual sinks. 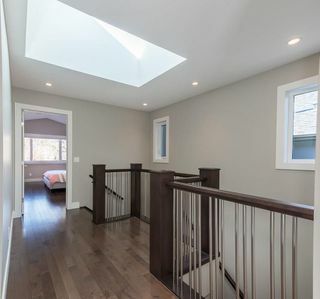 Upper landing with large skylight and spindle railing. Basement family room with adjacent wet bar and wine cellar. 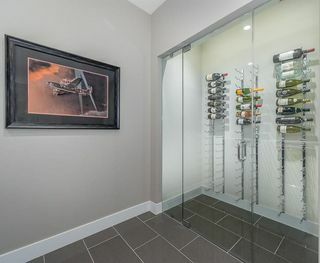 Basement wet bar and wine cellar. 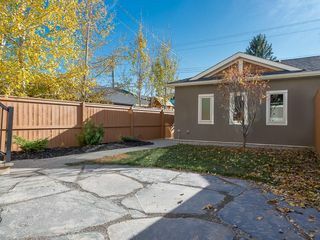 130' deep lot allows for an extra deep south facing backyard. 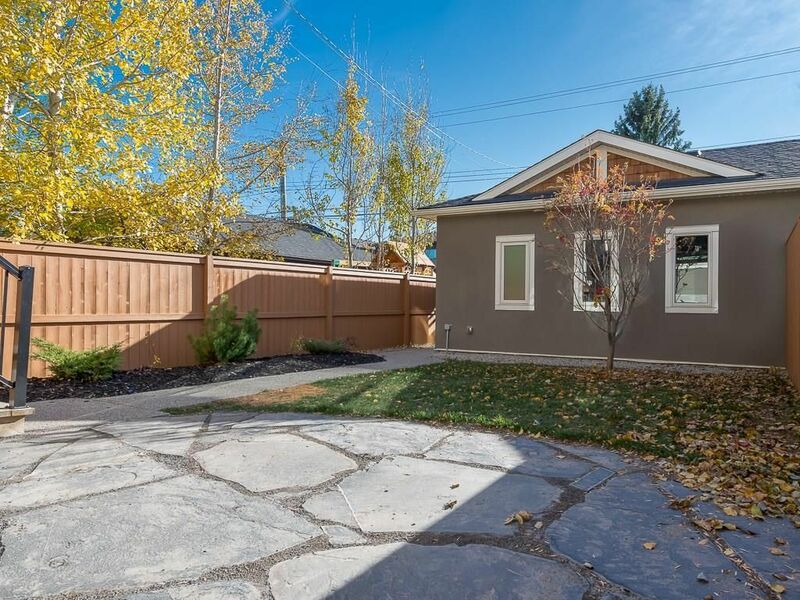 Picturesque backyard with stone patio. 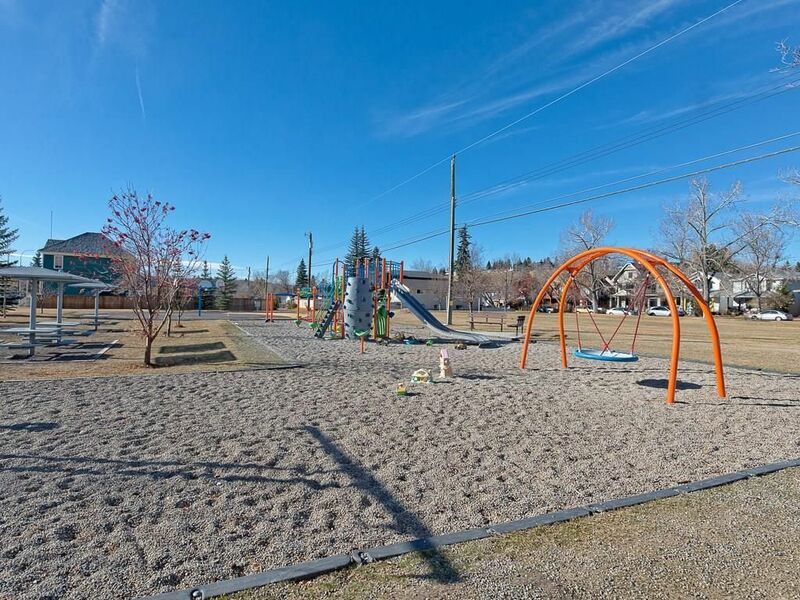 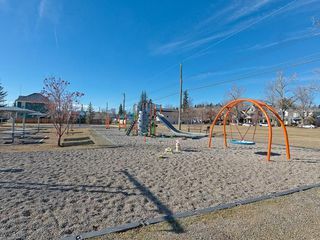 Numerous parks and amenities in sought after West Hillhurst.